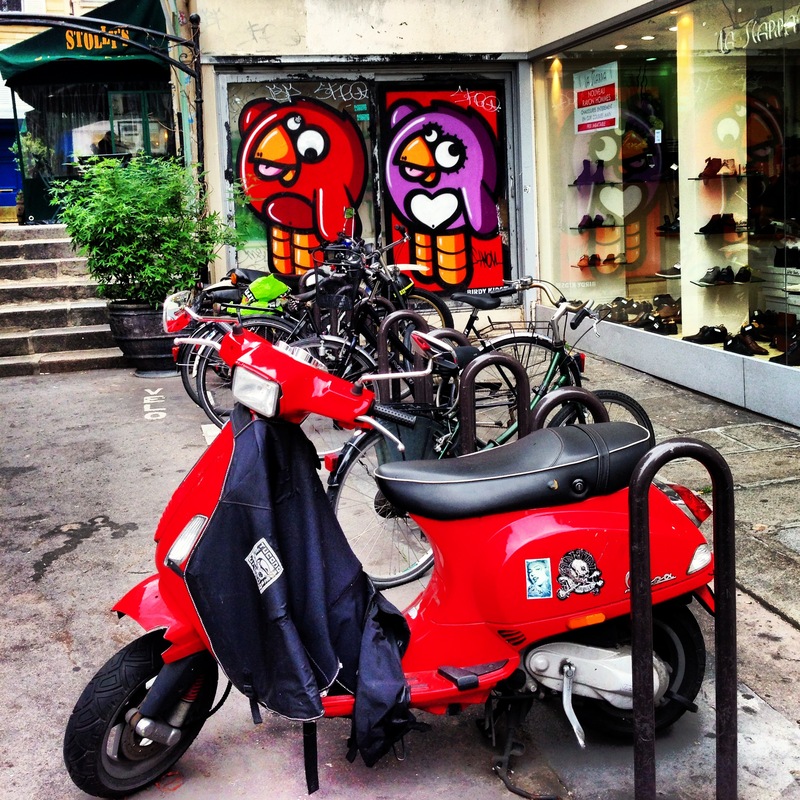 The Angry Birds invade the Marais? | the (fake) parisienne. 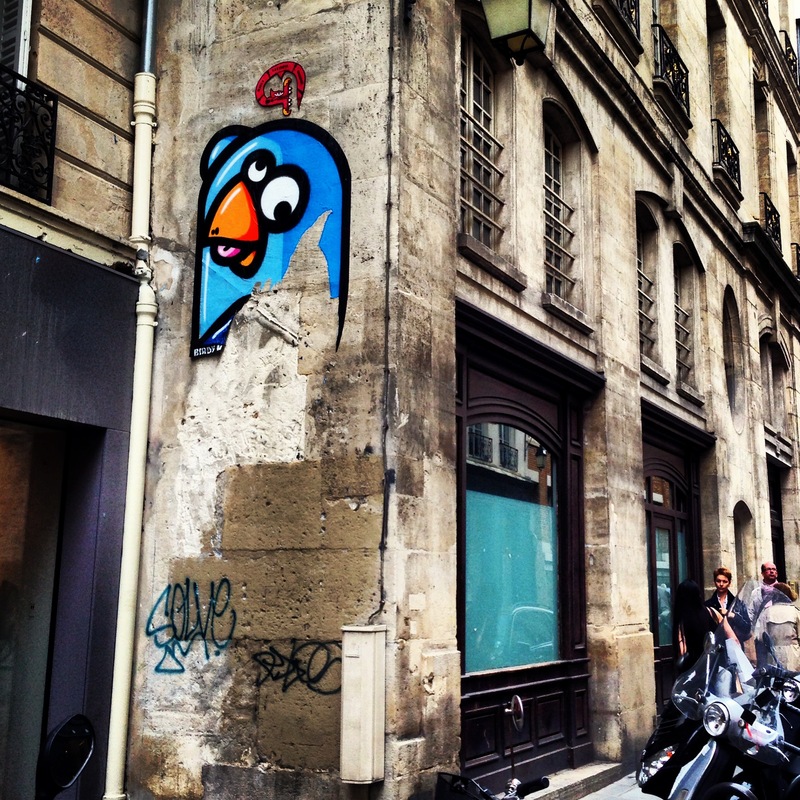 A couple of months ago I came across a colorful angry birds street art in the Marais. It made me laugh. That funny face and that bright chunky body made for a surprising treat on that dirty wall. 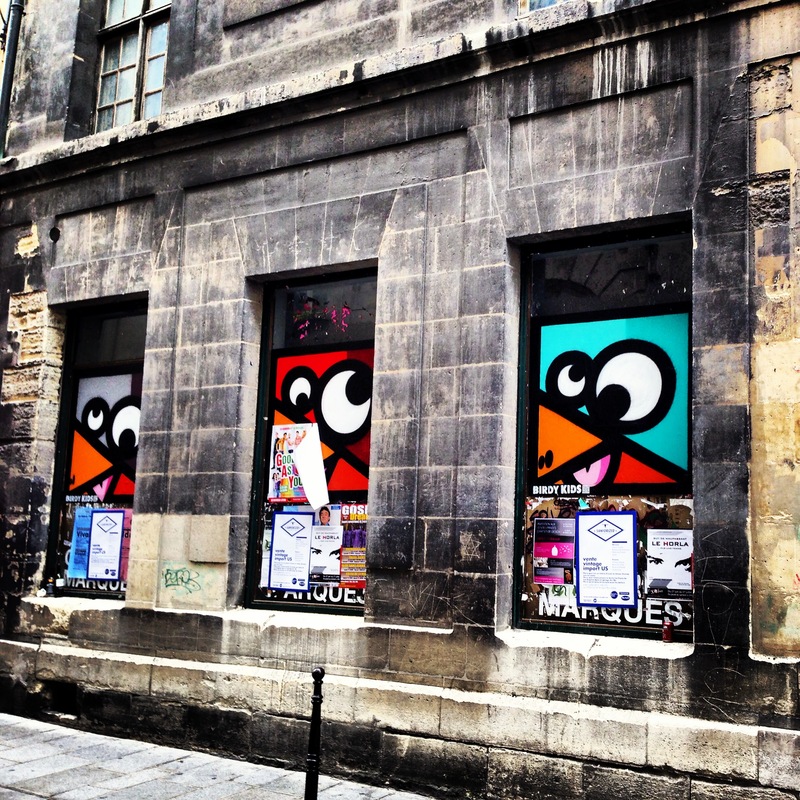 A few weekends ago as we wondered through the Marais, I saw them again but this time they seemed to be everywhere…but really, everywhere I turned. On every corner, in every hole in the wall, flocks of them and in various colors! I felt like a child on a treasure hunt. 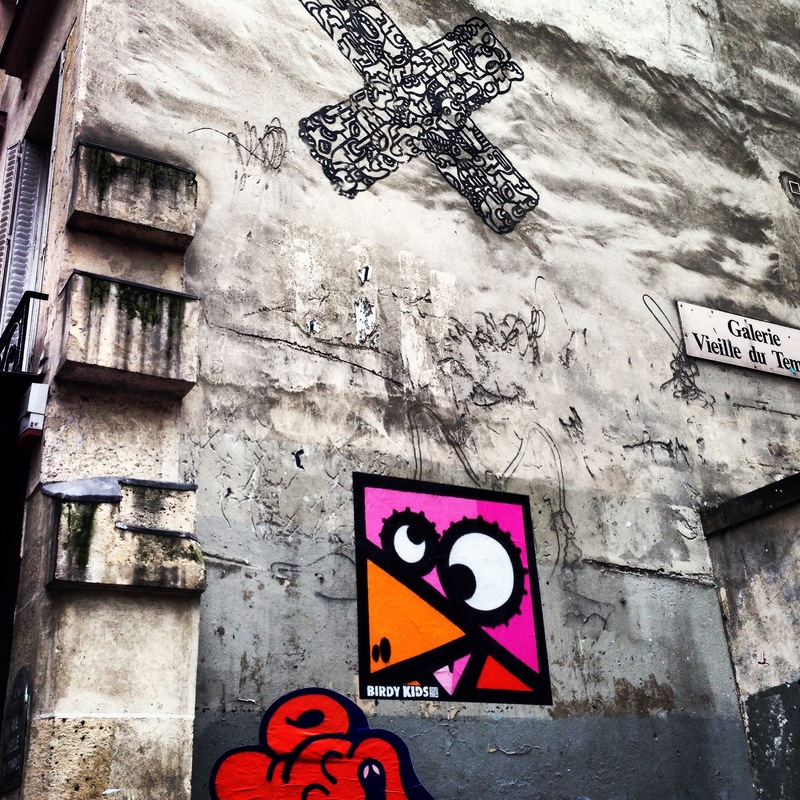 The more I saw, the more I wanted to see…and with each angry bird came a new personality, the lovestruck one, the cheeky one, the bug-eyed one, the clown, the couple… red, blue, yellow, pink…I thought to myself…what is this breed of birds that has invaded this trendy quartier of Paris?! I couldn’t believe they had been around for that long! Since 2010? 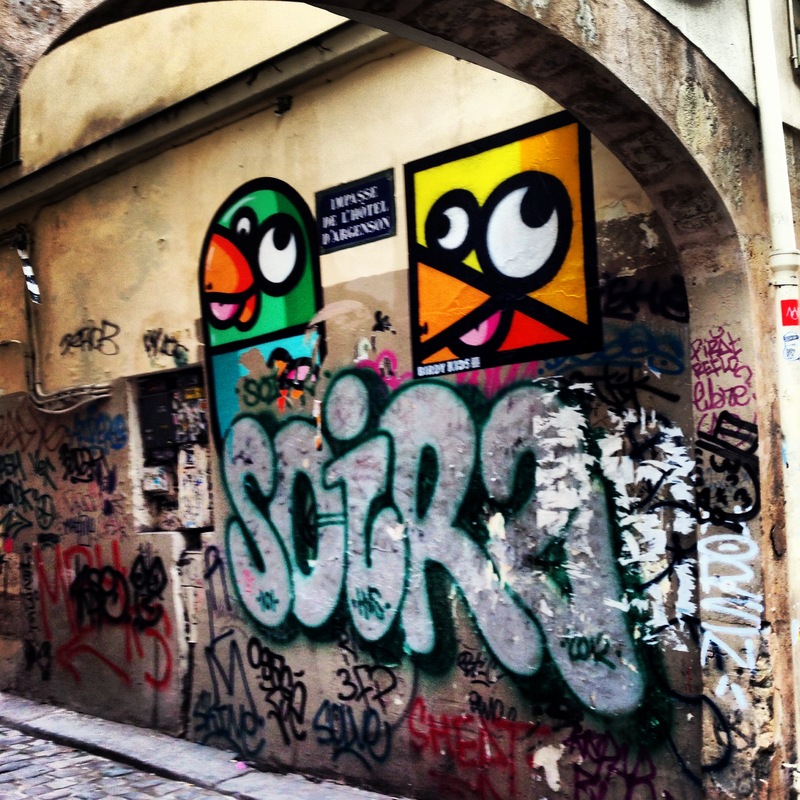 Was this the French answer to the Finnish Angry Birds? Had those cheeky birds been there all those times I passed by there or were they painted recently? To that, fellow bloggers, I will never know the answer but you can have your very own birdy kids t-shirt, installation or even a totem pole (!!!) if you so desire. I promise this is NOT an advertisment. Explore at your own risk. I had the exact same reaction as you – and they’re everywhere! 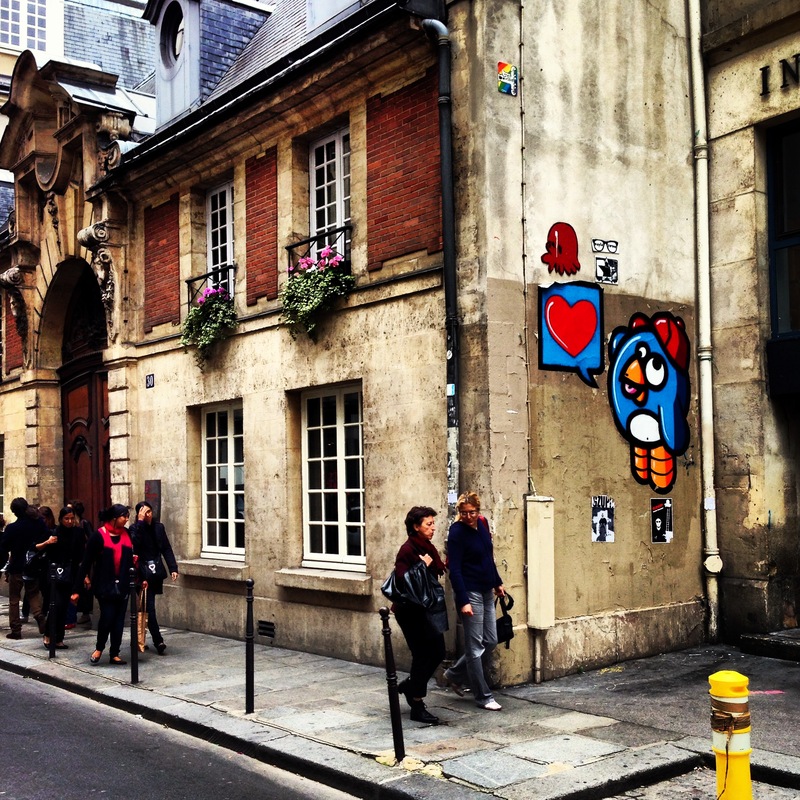 Such a funny addition to the quartier. Never fails to make me smile. 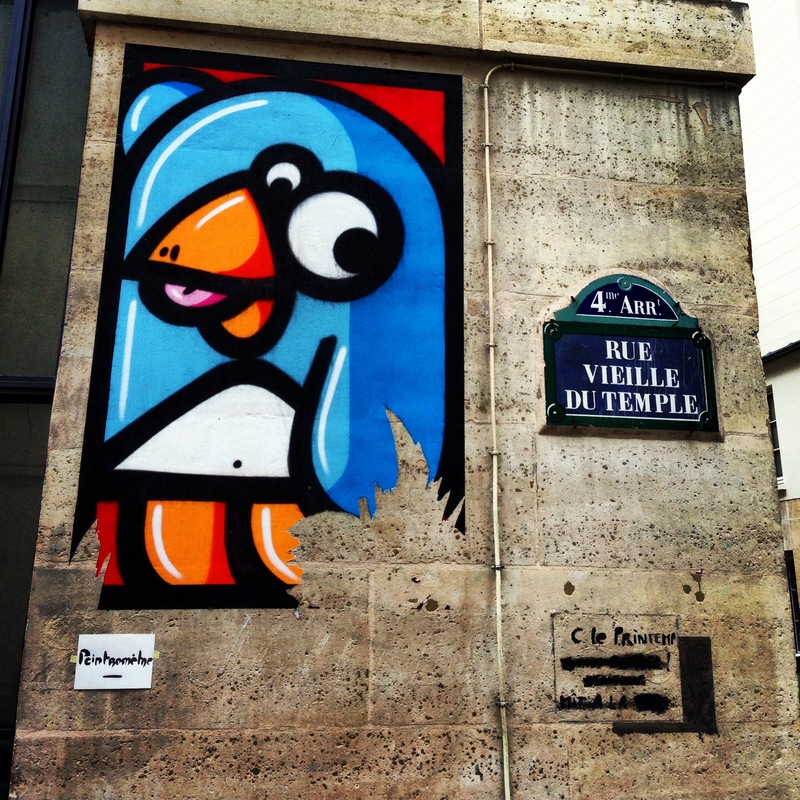 New street art to look for when I’m in Paris next time! I usually am looking out for the Space Invaders.